Established in 1973, Richards Insurance Agency was founded on a philosophy of offering personal, professional service. Since then, we have grown into a full-service agency with a staff of 4 insurance specialists serving individuals, families, and businesses in the North Country New York area. We utilize a state-of-the-art computerized rating system that instantly compares rates of competing insurance companies for the same insurance coverage so that we can offer you the best possible rates. I was born and raised in the North Country. I began my career in the insurance industry in 1968. 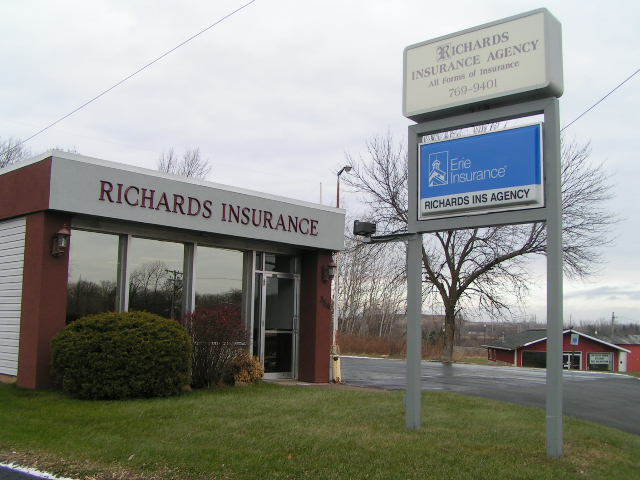 I opened my own Agency in Massena NY and became a partner in the Richards Insurance Agency in 1983. I wanted to provide a competitive insurance service to the residence in the North Country. I was born and raised in the North country and wanted to remain in the area. I obtained my P & C License in 1972 and became a partner in Richards Insurance Agency in 1983. I have two children who live in the area and have their own careers. I also enjoy helping the residence of the North Country with their insurance needs. Large enough to serve you, yet small enough to care; we are an independent insurance agency that works for you instead of a giant insurance conglomerate. You can always count on us to be on your side. © 2019 Richards Insurance Agency. All rights reserved. Site designed by Northern Computers.